Just as you thought 4G or 5G LTE would finish off Wi-Fi once and for all, Li-Fi appears on the scene to rock its status.Wi-Fi has been great but it's already being outdone in 5G tests and now on a more local scale Li-Fi is 100 times faster, and more secure. 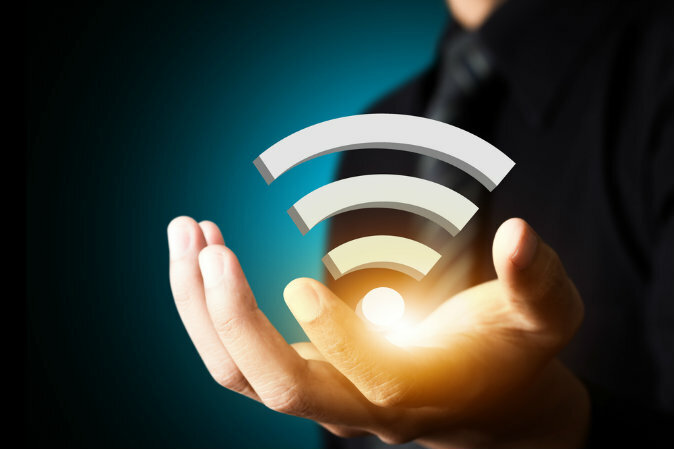 Li-Fi uses light to transmit data rather than Wi-Fi's radiowaves. Although this was still in the testing phases not long ago it's already set to reach the public. How is it 100 times faster than Wi-Fi? By using visible light to transmit data Li-Fi is able to increase bandwidth by 100 times. This equates to downloading 18 movies at 1.5GB each, in a single second. Lab tests revealed that the Li-Fi connection could transmit up to 224 gigbits per second. Now in real world use scientists have reportedly managed to hit a whopping 1GB per second of data transmission.This was first discovered in 2011 at the University of Edinburgh by Harold Haas. He showed that flickering the light from an LED could transmit more data than a cellular tower. The current iteration uses Visible Light Communication (VLC) which is light between 400 and 800 terahertz. It's a bit like switching a light on and off for Morse code, or more accurately, to send the ones and zeros of binary bits.One of the big advantages of li-fi is the fact that, unlike wi-fi, it does not interfere with other radio signals, so could be utilised on aircraft and in other places where interference is an issue. Very nice article.I hope scientist will do more research about it & will make it available for normal use like Wifi.